Christmas has most certainly come early with the very latest ski deals waiting to be snapped up. If you haven’t told Santa yet what you want for Christmas then start making your list today with the ski offer of your choice, or book a super holiday for a friend or partner as a surprise Christmas present. The official start date of the ski season is a mere two weeks away, and as the excitement builds, treat yourself to an early Christmas holiday for yourself and your family. There are some exciting holidays in the snow available now, which one will you choose? Visit Santa in Lapland – departing on the 28th November including flights, transfer (on arrival) and two night’s half board accommodation for a family of two adults and two children (aged two to five years). The price is from £2,066 per family, this is a saving of £800 per family also included in the price is a private meeting with Santa, a husky sled ride, reindeer sleigh ride, igloo experience and thermal clothing whilst on your visit. Val d’Isère – departing on the 8th December is the place to head to for a seven night self catered ski holiday. These lovely apartments are close to ski lifts and the town centre with all its bars and restaurants. The price for accommodation only is £186 per person which is a saving of 28% for a one bedroom studio apartment that sleeps two people. Kick start your Christmas with a treat for yourself and a friend. Les Gets – departing the week beginning on the 15th December promises loads of family fun. Flights are from Gatwick, transfers (on arrival) and chalet catering offer a super family ski holiday for the amazing price of just £649 per person. The chalet has family suites, a playroom, à la carte childcare and a ‘ski school assistant’ who helps children with the ski school run. This is the perfect pre Christmas holiday full of family entertainment. La Plagne – arriving on the 15th December to this delightful chalet which is close to all amenities. The price for a one week’s fully-catered chalet holiday is now £614 per person a saving of £55 per person. The price includes return Gatwick flights and transfers (on arrival). If you want to depart from Manchester the price is £644 per person it was £669, therefore another saving of £45 per person. Samoëns – arriving on the 22nd December is an ideal Christmas getaway. These well located apartments are five minutes walk to the village square and close to the Grand Massif Express gondola. Ideal for families as there is a large well run beginners area and it is suitable for intermediate skiers too. Enjoy seven nights self catering from just £365 per person a saving of £35 per person for a two bedroom apartment that sleeps six people including return by Eurotunnel. The facilities include an indoor swimming pool and spa. 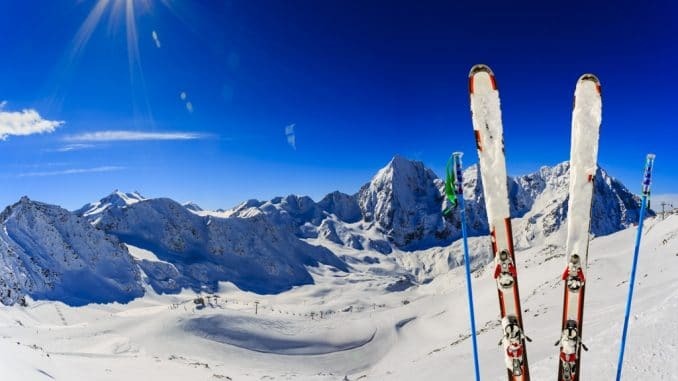 Tignes Ski in winter season- departing on the 22nd December this self drive ski holiday is ideal for those wanting to take all their Christmas goodies with them, simply pack up your car and head for the snow. A two bedroom apartment that sleeps up to six people is perfect for families or a group of friends who want to make the most of the festive period. Included in the price is Eurotunnel crossings plus accommodation for a total pricing of £2,349 an amazing deal. Verbier – departing on the 5th January is what you need to clear away those January blues and celebrate the New Year. Included in this seven night offer are flights from Bristol to Geneva and transfers (on arrival) in a catered chalet based on five people sharing a room. The price is from £678 per person a saving of £170 per person which offers tremendous value for money. Don’t delay, book your ski getaway and enjoy a winter wonderland this Christmas.